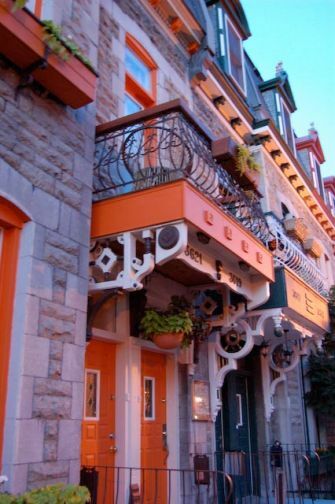 Le Gite B & B is a funky bed and breakfast in the heart of Montreal. 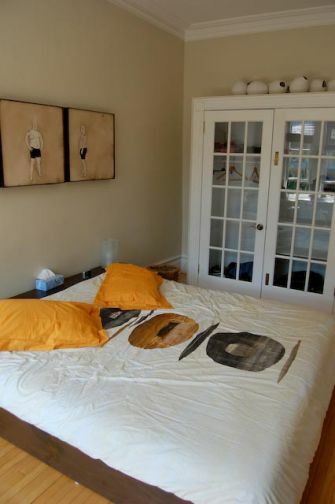 The quaint B & B offers rooms starting at $87 all decorated with an amazing array of art and beautiful furniture. Diane Bouchard, the owner and effervescent host, welcomes visitors with open arms. The feeling in the house is very relaxed, with your key offered up immediately and no rules or restrictions placed on the stay, such as curfews. There is a large sunny patio on the top level that Diane encourages visitors to use. And, with a fridge handily placed nearby it is the perfect location to sip a cool glass of wine before heading out to one of Montreal's hundreds of restaurants for an evening meal. As mentioned, the rooms (and the entire house) are decorated with an impressive array of Art. Diane's son is an artist and his creations adorn most of the walls throughout the establishment. While they may not necessarily be to every individual's taste, it is inspiring and invigorating to be surrounded by original artworks. All the rooms are airy and comfortable, with huge king-size beds in some rooms, and plenty of space to stow belongings. There is also a washing machine and dryer available for use, as well as wi-fi internet access. Guests will have no problem whiling away a few afternoon hours in their delightful rooms, napping and surfing the net. Each morning Diane serves up a delicious home-made breakfast, generally with sides of yoghurt and fruit. Unlike some stodgy diner-type breakfasts, all meals at the Le Gite, while filling, are extremely healthy and satisfying. Le Gite is situated on the doorstep if Rue Prince-Arthur, a pedestrian street lined with restaurants (all B.Y.O.W!). 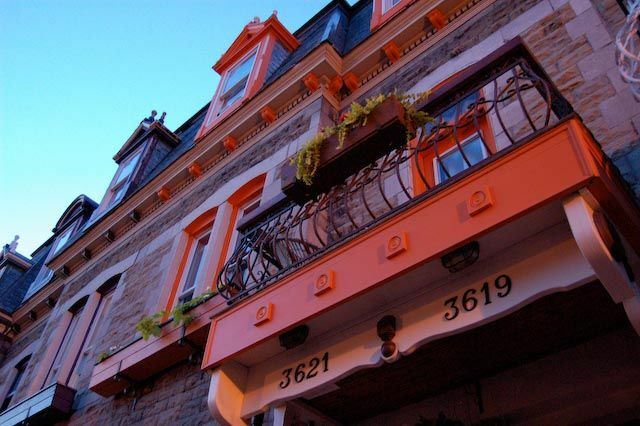 Also nearby are Rue St Denis, Rue St Laurent and Rue Duluth, all of which offer an amazing array of cuisines at varying price points - many of these also allow diners to bring along their own wine. Le Gite is at 3619 rue De Bullion, Montreal, Quebec. Phone 514 849-4567. » Hostels in Vancouver - Which One to Choose? Four nights in New Paltz, and all of a sudden I think I'm Michael Jackson. Why-oh-why do I let things go this far?